Now, researchers from the Coordination Chemistry and Catalysis Unit at Okinawa Institute of Science and Technology Graduate University (OIST) have discovered that by combining copper with organic molecules, they can create metal complexes that exhibit photoluminescence. What’s more, by varying the sizes of those organic molecules, they can control the brightness of the emitted light. The study has been published in the journal Inorganic Chemistry. In this study, the scientists created photoluminescent copper complexes by combining copper atoms with organic molecules, or ligands, with different amine groups. “The process of constructing the copper complex is a simple one and starts with the synthesis of suitable ligands,” explains Dr. Pradnya Patil, a post-doctoral researcher and the study’s lead author. She synthesized four similar ligands molecules—N-methyl, N-isobutyl, N-isopropyl and N-tert-butyl—that varied in size, with the N-methyl molecule being the smallest and the N-tert-butyl molecule the largest. Taking this new finding further, the researchers incorporated molecules with structures similar to these copper complexes into polymers, so that they could be used in a wider variety of applications. This has allowed them to create molecular probes that glow brighter when subjected to mechanical stress or strain. “Such a material has the potential to create new methods to prevent failure of construction materials as it will help detecting wear and tear before the material actually breaks. 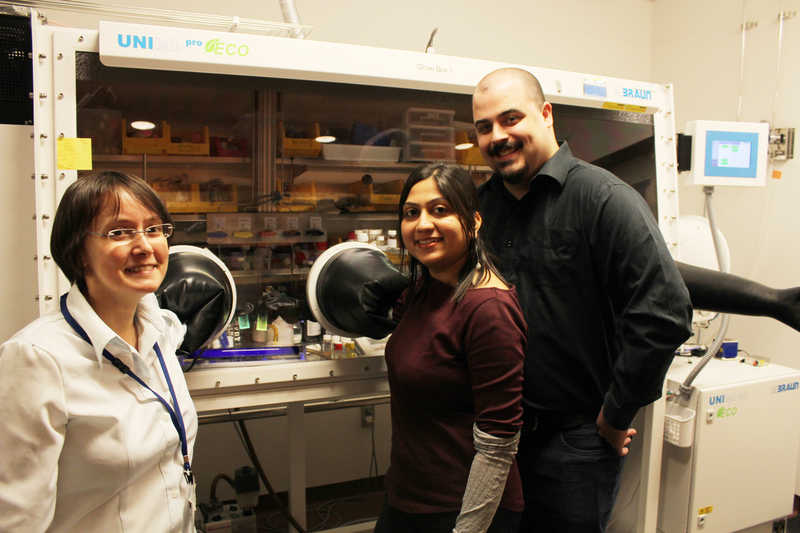 This study sheds light on the mechanism of such stress detection,” says Prof. Julia Khusnutdinova.